the creator of eternal cherry blossoms, into cosmetics. which contain 0.1 carat of a natural diamond. They will add to your feminine charms and elegance! 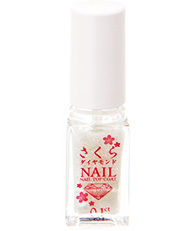 We adopted a quick-drying top coat to protect your nails and to provide moisture. The nail polish (top coat) contains 0.1 carat of natural diamond (as a glittering ingredient), and your nails elegantly shine combined with the ingredient of lamé. Enjoy the polish for formal occasions or everyday use. 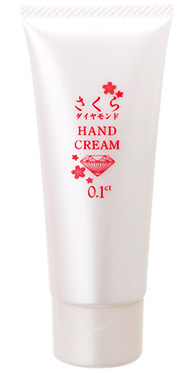 Mild lavender-scented hand cream moisturizes your hands. It contains contain 0.1 carat of natural diamond (as a glittering ingredient). The combination of the highly moisturizing gel and special ingredients to protect keratin gives the whole body moisture and radiance, adding a sophisticated look to women. 0.1 carat of natural diamond (as a glittering ingredient) is contained. Just spraying it will create a gorgeous glow on your body & hair, adding an elegant texture. 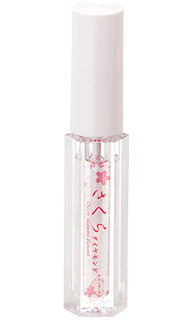 Just one coat of gloss shines and moisturizes your lips! 0.1 carat of natural diamond (as a glittering ingredient) and the ingredient of lamé create a synergy effect, giving an attractive and elegant glitter. It also fits perfectly on the lips. 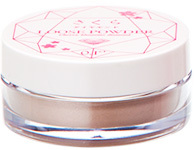 This powder can be used as a finishing touch to your makeup or applying on the décolletée, face and neck. 0.1 carat of natural diamond (as a glittering ingredient) and the ingredient of lamé creates a synergy effect to make the pores of the skin less visible, effectively covering darkening or color irregularity.